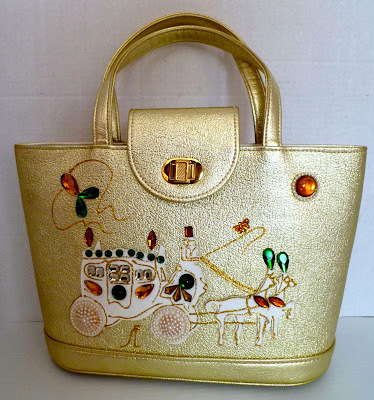 Gold Tote Purse with Carriage Design. 1960s. Maker: Esta of Miami. 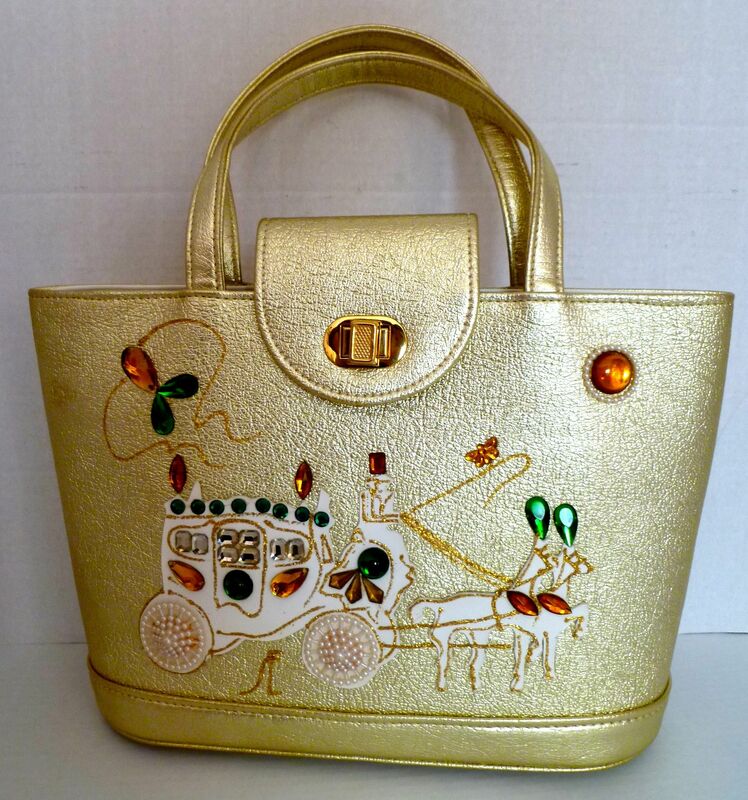 Wonderful gold lame tote style bag in excellent condition, with a carriage, coachman and horses made of faux leather and decorated with gold glitter paint, faux gems and faux pearl wheels. Goldtone twist lock. Four goldtone “feet” at the bottom. Inside zip pocket. I got this purse—my first Esta!—last month at the Burbank Vintage Clothing & Textile Show from the lovely Jeanne of Little Treasures Antiques and Vintage. Please check out her website and Facebook page.